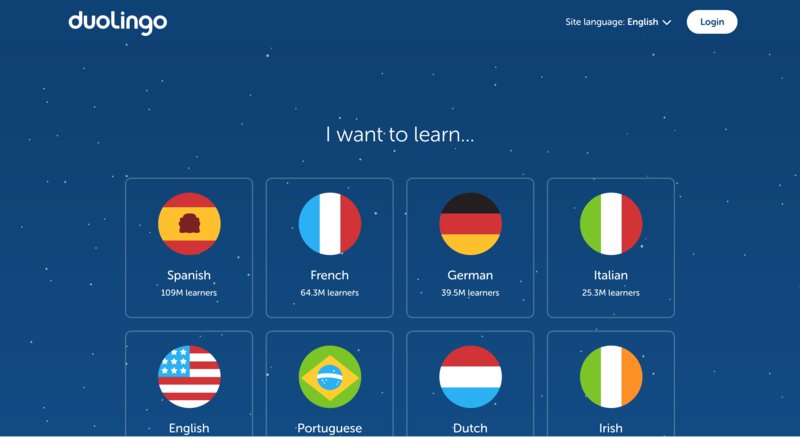 Duolingo teaches users new languages in short, interactive lessons that users can complete at any time online. 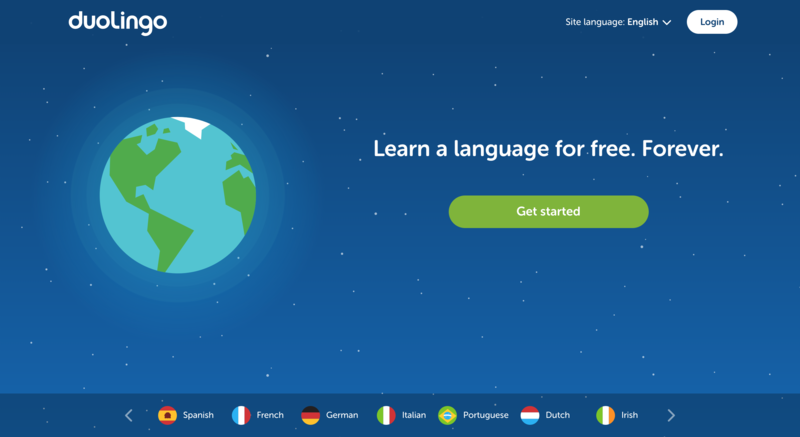 Given the slew of available options for language-learning on the web, Duolingo invites new users to try out their product and asks for a sign-up only when users have experienced the product's value. 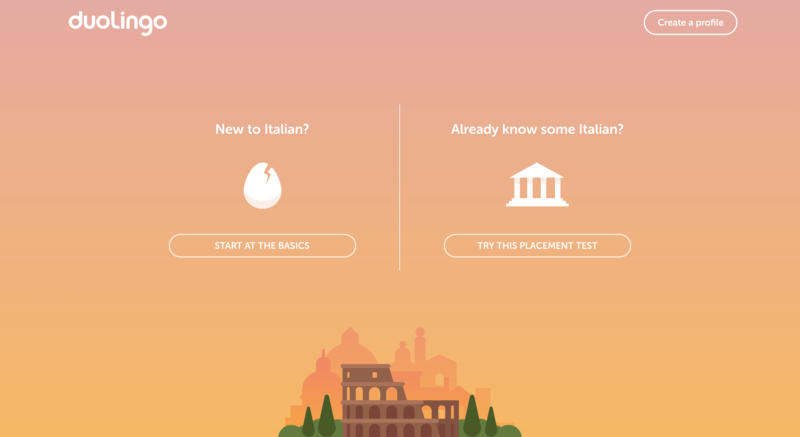 The first steps in Duolingo's flow for new users focus on what users want (learn a new language) rather than what the app wants (new accounts so it can retain users). This approach encourages user participation and emotional investment into the app as it gets them thinking about what they'd like to achieve. 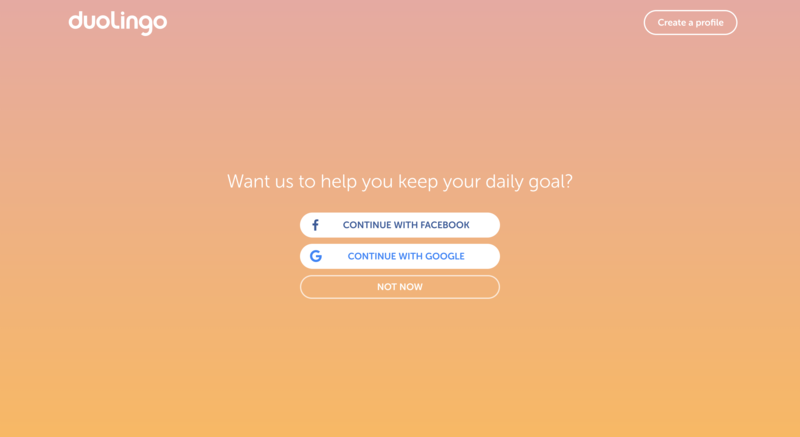 The first screen that prompts users to create an account does so indirectly by asking users if they'd like help keeping their daily goal. 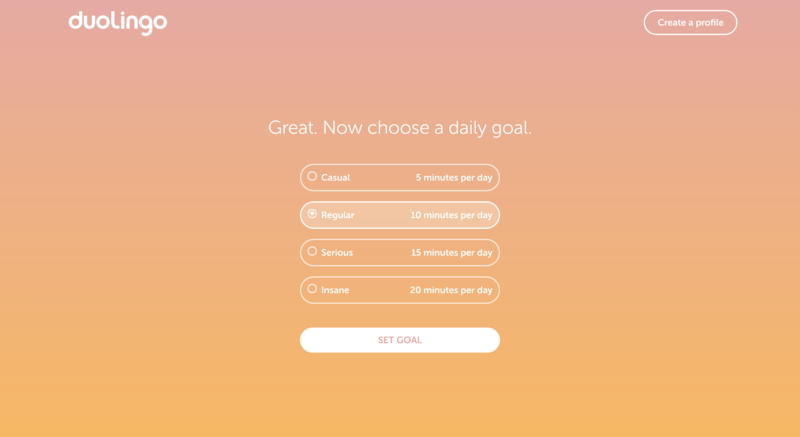 The daily goal helps users break down their big goal into manageable, 15-minute commitments. Offering help in keeping up this smaller goal puts the emphasis on the value users will get from creating an account rather than on the account itself. Users can choose “Not Now” and still continue to their first lesson. This step helps build trust as users get to experience the full value of the app before committing their personal information to it. 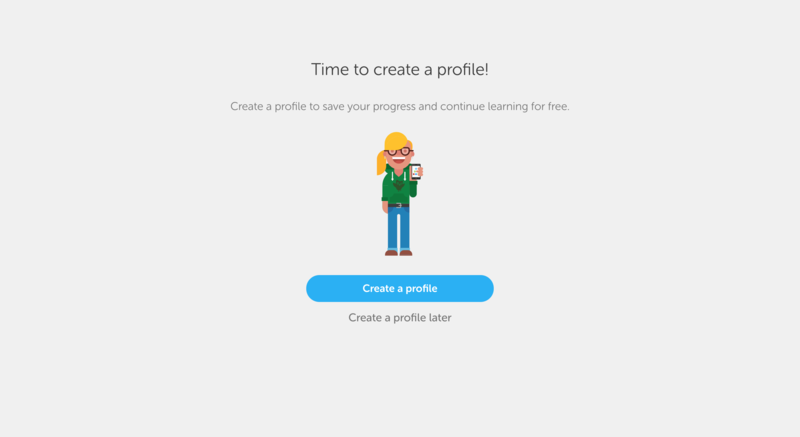 Once users complete their first lesson, they get their first direct prompt to create an account so as not to lose their progress. The emphasis is still on the value users get from the action by being able to save their progress and continue learning for free.